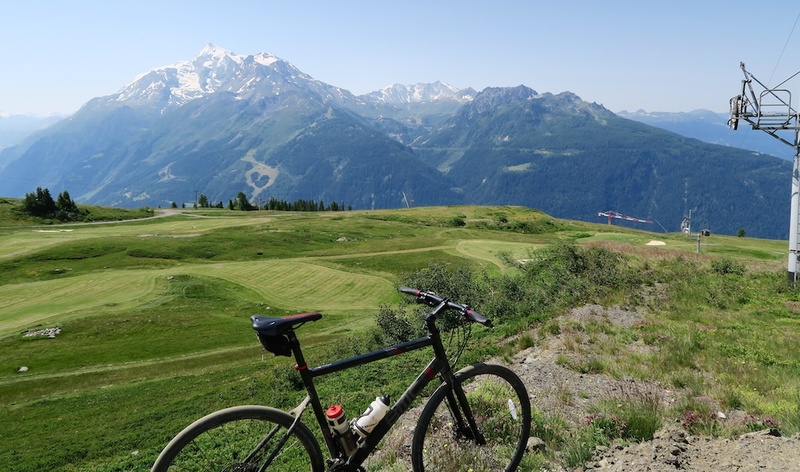 This ride has Italian and French cols, but I have labeled it as “French Alps” as my main target – Col de la Traversette – is in France. 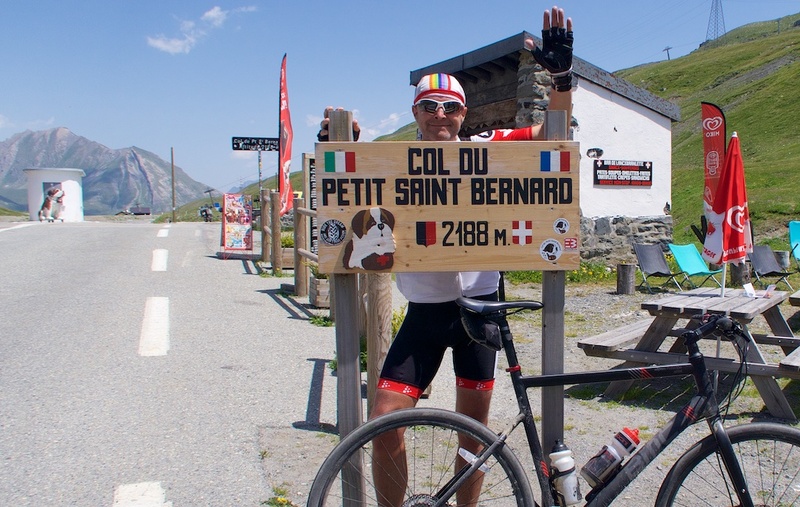 As with my previous ride, I first cycled from La Thuile, Italy to Col du Petit St. Bernard (2188m) on the main road. 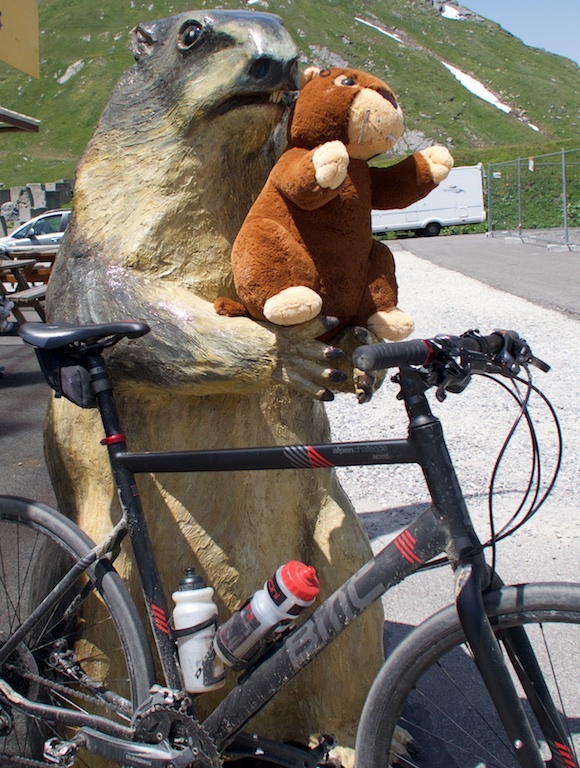 I then descended down into France to La Rosière ski station. From here I started climbing through the ski slopes eventually reaching the old ruined fort at Col de la Traversette – 2383 metres: Le Fort de la Redoute Ruinée. 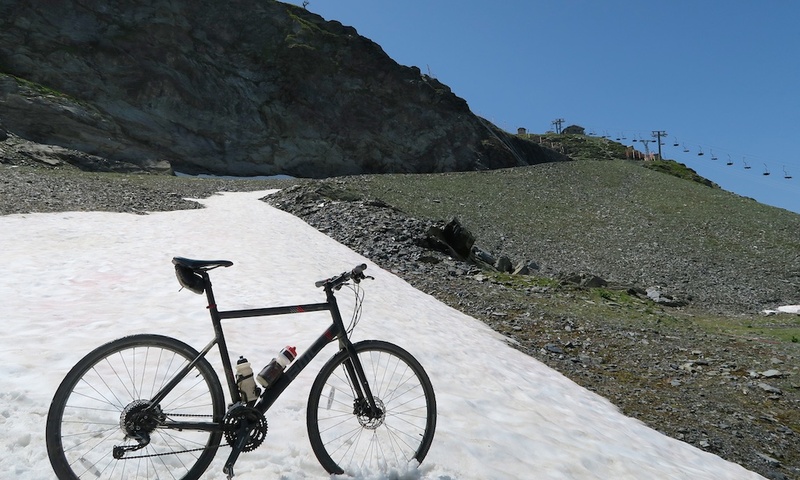 Before reaching the fort I first passed Col des Embrasures at 2303 metres. 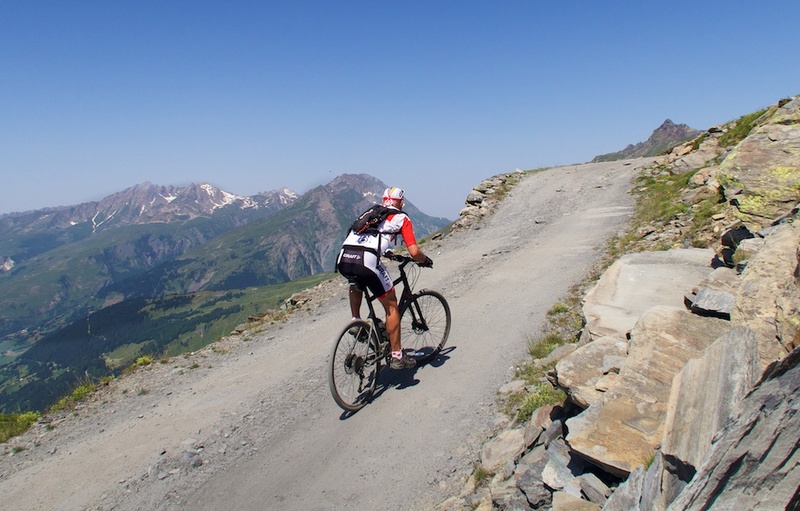 Soon after the road arrives at the old fort at 2395 metres – just above Col de la Traversette. 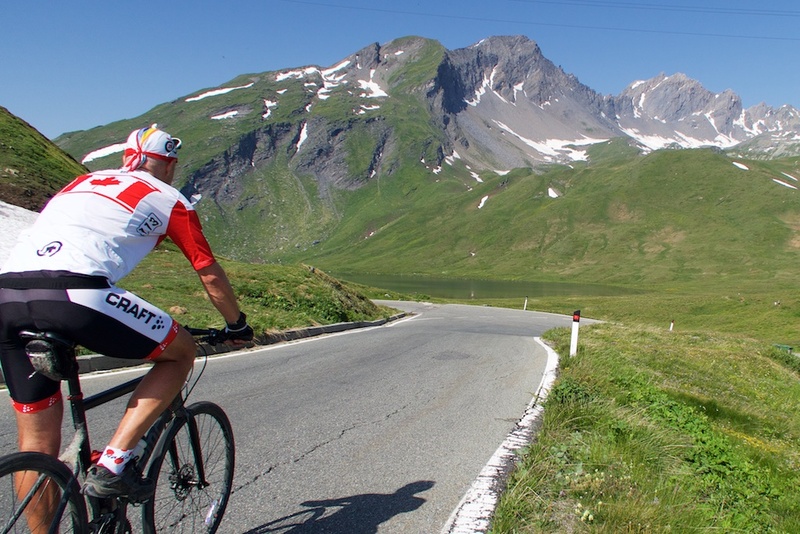 But after perhaps half a kilometre the road becomes ride-able. 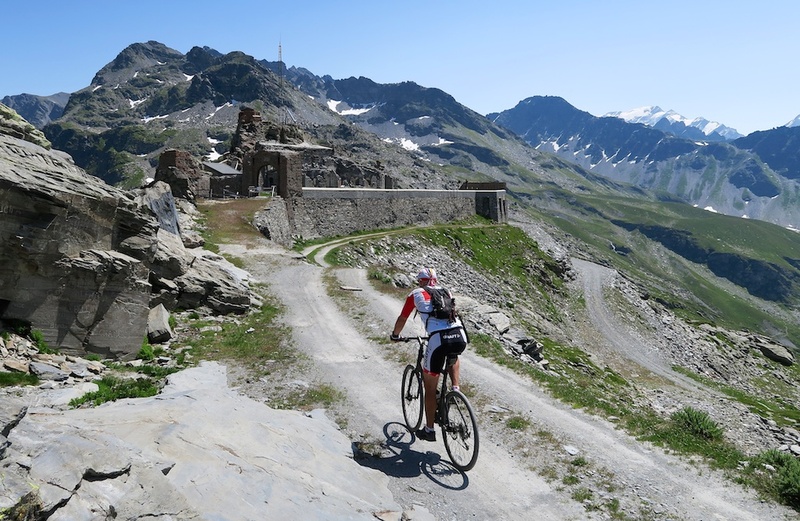 I could see a fun road up to Colle Belvedere (2589 metres) – I had climbed it the previous day from the other side – and decided to keep things simple and just rejoin the main road, recross Col du Pt. St.Bernard and call it a day. This was a lot of fun. 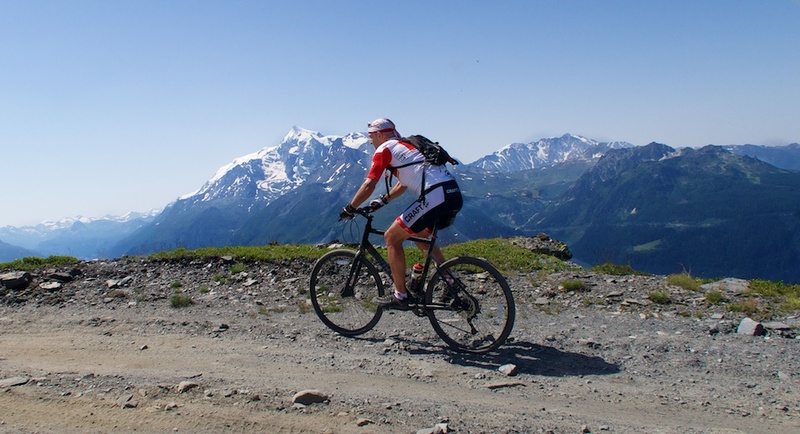 The unpaved climb to Col de la Traversette is very ride-able, with stunning views, and some history at the summit. Perfect. 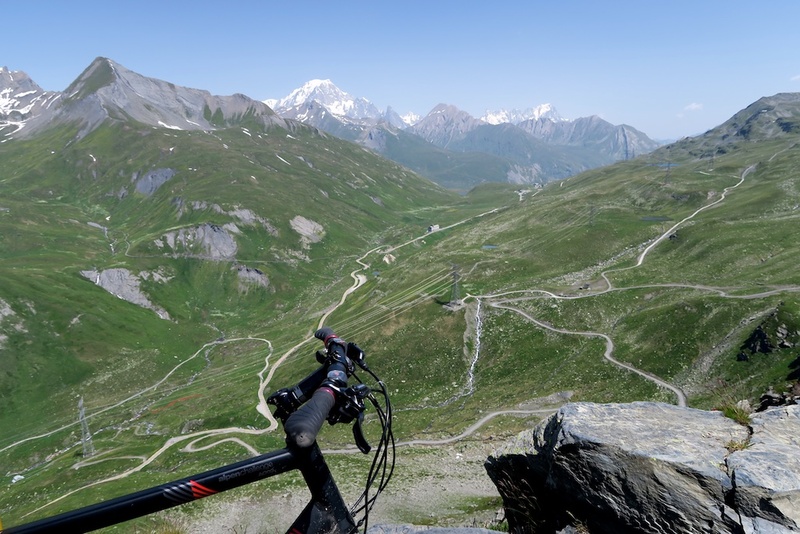 So can you link the Col de la Traversette and Colle Belvedere and then come back down to the main Petit Saint Bernard Road? 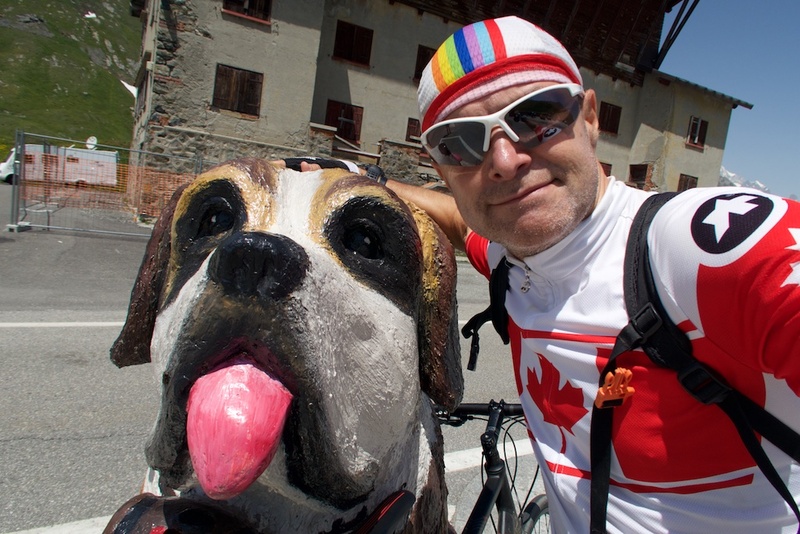 I’m coming to Bourg in sep and really want to go exploring up there? 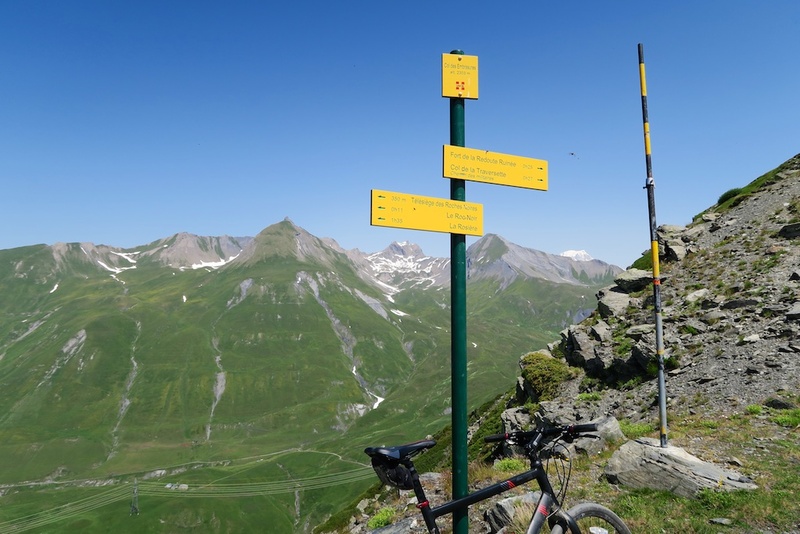 there is a direct link that looks tricky (possibly more of ski slope), or easily linked indirectly by crossing first Petit St Bernard.